when I visited India for the first time. “If you have the desire to go, you will love it, and if you are unsure, you will hate it,” I was told by an experienced traveler. I loved it. A country of high contrast, many people find its dense populated marketplaces, and symphony of beeping tuk-tuks and cars difficult to navigate. I would describe India loosely as all the beauty and all of the chaos one can imagine existing side by side. Whether in bustling city markets where colorful saris and fragrant spices create a world of celebration and mystery, or in a small, quiet village whose residents have never seen their own photograph, India beguiles and challenges. My goal was to return to this bejeweled land with a camera and I feel honored to have been allowed to visit once again, and capture these kind and curious people through my lens. 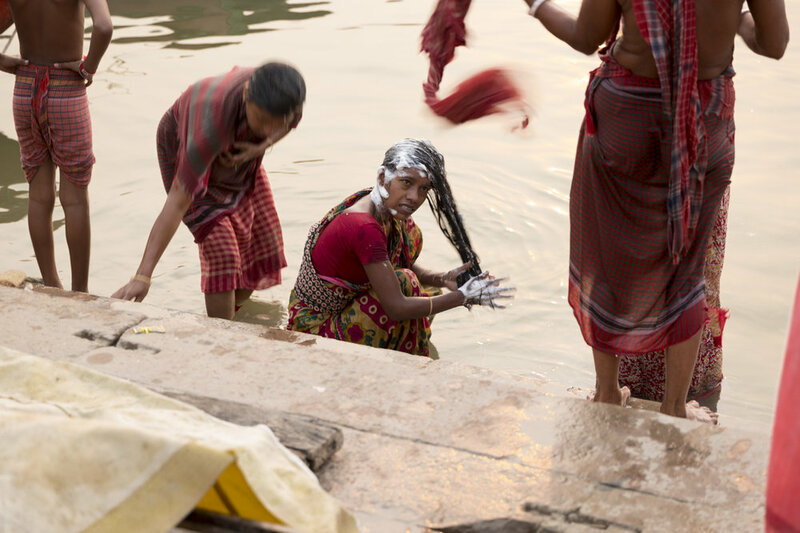 Making connection with each one, and revealing their images to them as I walked the streets, or the Ganges River shore. Namaste, India.